I ride the train to work every day. The train is supposed to have WiFi available. It typically isn't usable. Even the phone network has a bunch of dead spots on the trip. Most of the time, I spend the trip catching up on email or just playing games. The fun part about the games is most of the time I have to play disconnected, so even that is limited. With all those limitations, I still tend to drain much of my phone's battery on a typical day into the office, worse on the way home if I forget to recharge the phone. 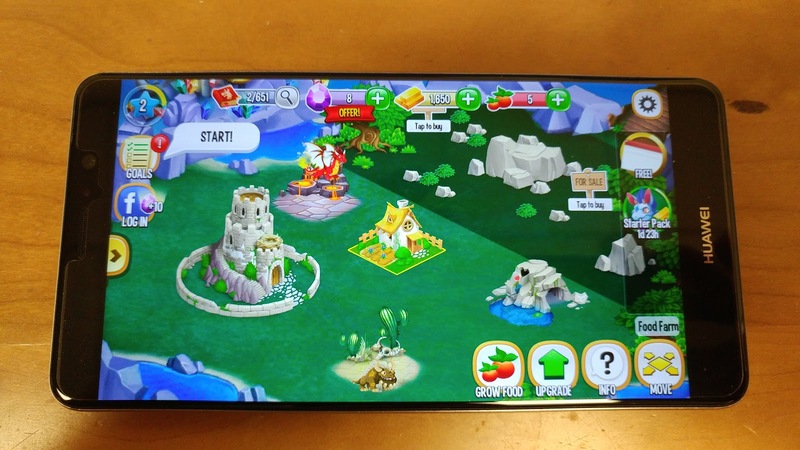 When playing games on the Huawei, the first thing I notice is the large screen. My eyes aren't as good as they used to be and the internal chat boards in some games has a font so small it is difficult to read. The Huawei has made this a little easier to say the least. 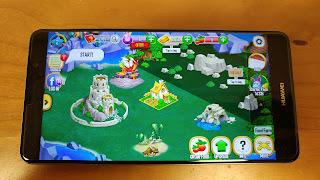 Beyond that, the extra screen real estate just makes the games easier to play, especially if you have to place "troops" or characters at specific places within the game board. It sounds silly but I've attacked the wrong spot too many times because my fat fingers mis-touch on the game board. The processor seems to make the game play a little faster and the resolution looks so good. The top two vendors control roughly 75% of the mobile phone marketplace. When its time to upgrade a phone, most people just get the next version of what they've been using for the past so many models. It is an easy thing to do as you're returning to something familiar when you get the new phone. Moving beyond the top two or three vendors is where the innovation happens though. These vendors have to do something extra to stand out, like the 1.8GHz octa-core Kirin processor. With Huawei, you might think of them as a small phone company, since you've probably never heard of them, but they're actually the largest telecommunications equipment manufacturer in the world. The UI on the Huawei Mate 9 is based off of EMUI (Emotion User Inerface) 5.0. This has a bunch of shortcuts and system management features that extend the standard Android interface. This seems to be common across Huawei devices. This is my first time using the interface and I had no trouble adapting my prior Android experience to the new UI. Probably the most visible parts of this are the fingerprint management functionality. There is a reader on the center back of the phone. What you can do with this and the five different fingers you can "manage" access with work great. In the end, this is a great phone to work with if you're looking for one with a large screen, a long lasting battery, and a fast processor. The biggest drawback of the large/long features though is the added weight. For me, I don't mind the added weight for the extra speed and longer battery life. If you prefer a smaller footprint and lighter device, there certainly are other options available. If you like the gaming world, you'll be more than willing to deal with that drawback to get the faster Kirin processor. Thanks for the review! My son-in-law will be interested in this! Thank you for sharing. I would like one of these but they seem very expensive.